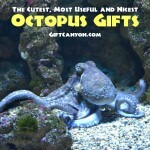 Home » Blog » My Favorite Things » Animals » Narwhal Gifts for Those Who Love The Sea Unicorns! Narwhals are known as the real life unicorns of the sea. Medieval Europeans have believed that the narwhal tusks came from the legendary unicorns. Some even believe that the narwhal’s tusk have certain magic powers such as neutralizing poison and a cure for melancholy. Olaus Magnus in 1955 drew a fish like creature with a horn on the forehead and identified it as a “Narwal”. 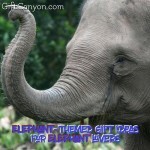 And in the 16th century, Sir Humprey Gilbert proposed that a tusk from a sea unicorn is worth 10,000 British pounds. The British Queen Elizabeth I received a tusk from the Narwhal that is bejeweled and carved which is worth approximately 1.5 million pounds in the 16th century. Narwhals may look weird but they are loved and greatly adored by some people. 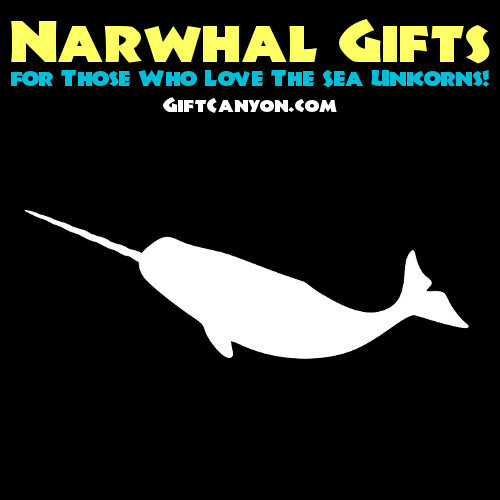 Check out our great collection of narwhal gifts below for your reference. 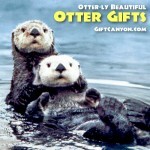 They are certified to give the wow factor to any narwhal follower out there! The spiked tea narwhal will make any tea lover and narwhal fanatic be swooned and astonished with its beauty with every cup of brewed tea. 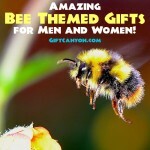 This set includes a spiked tea narwhal tea infuser and a mug that is coordinated with it. The spiked tea narwhal infuser is made of soft, tasteless silicone that won’t affect the taste of your tea. 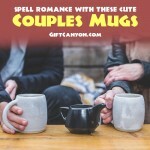 The spiked tea narwhal is a twelve ounce mug that is microwave and dishwasher safe because of its high fire ceramic features. You can steep as long as you want as you get to enjoy the dazzling beauty of a narwhal. If you know someone who is always on the go but can’t seem to miss the caffeine fix then this narwhal travel mug would be the perfect gift! 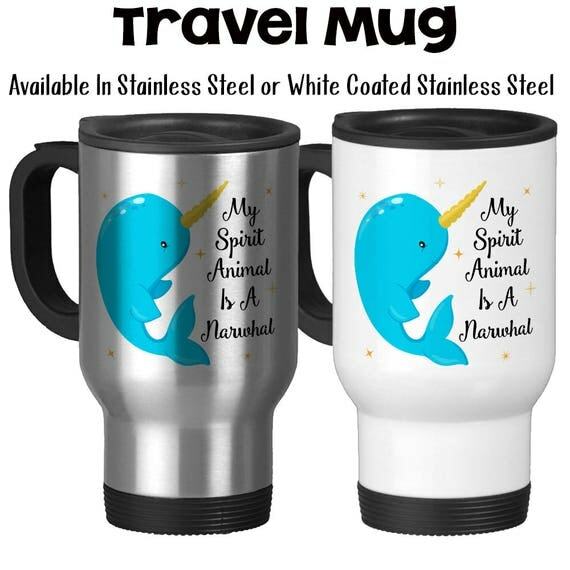 This narwhal travel mug is made of a stainless steel mug that is equipped for travelling that will keep your favorite drink hot without making any spill as you travel. This narwhal travel mug features your favorite narwhal in blue and black color. This narwhal travel mug can house up to 14 ounce of your favorite beverage. 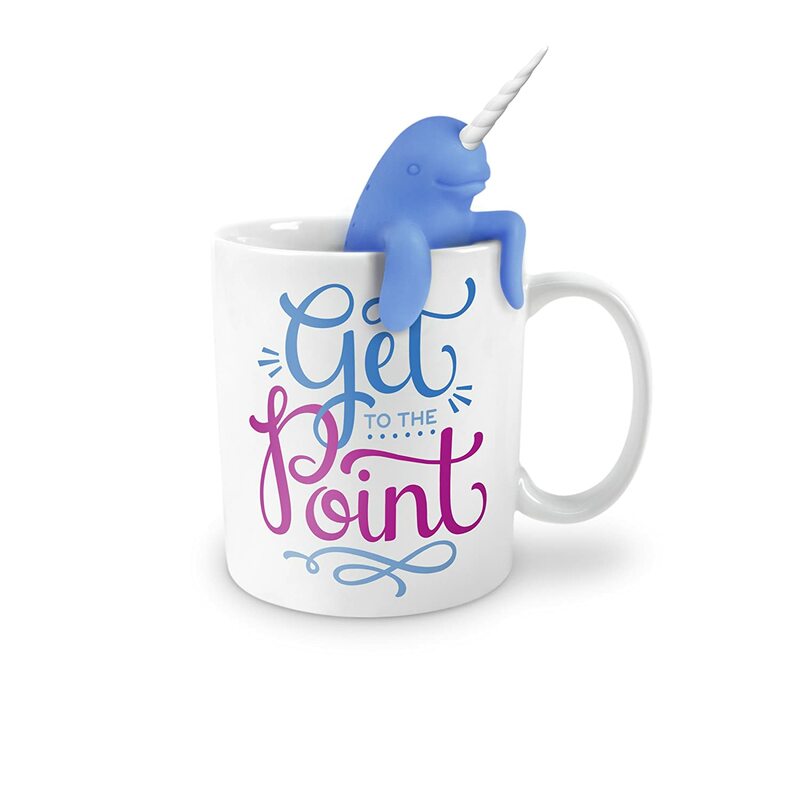 Magical happiness can be felt through this beautiful ad eye catchy unicorn narwhal mug. 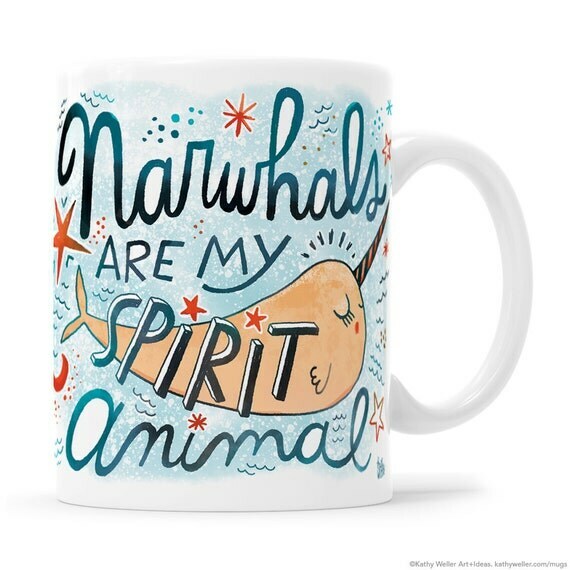 Enjoy the vivid and entertaining narwhal on both sides of this mug. 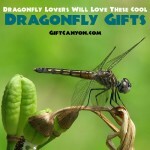 You can enjoy your favorite beverage be it hot or cold from eleven ounce or fifteen ounce. This ceramic unicorn narwhal mug is safe to be used in the microwave or in the dishwasher. Narwhals are not just extraordinary looking creatures but they also bring joy and inspiration to its followers. If you know someone who is in love with narhwals then this practical gift of a pair of narwhal crew socks would be the greatest gift ever! This pair of narwhal’s crew socks is made from high quality cotton and polyester blend that is durable and very comfortable to wear. 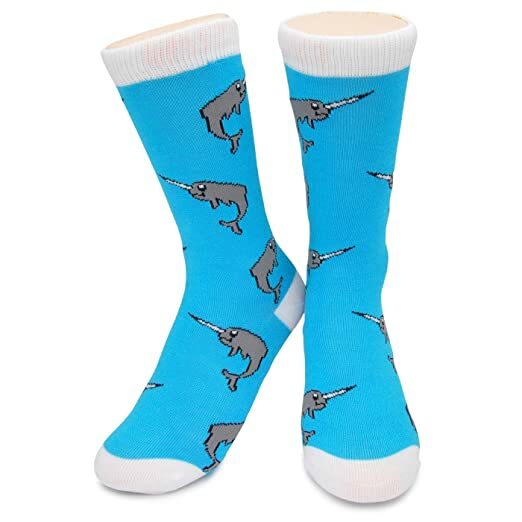 These narwhal gifts make one of a kind pair of socks is designed for both sexes and would certainly be enjoyed by the narwhal lovers out there! 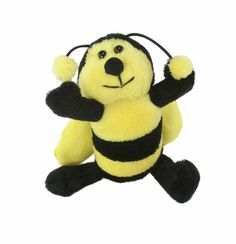 Let’s face it, everyone just needs a cuddle buddy once in a while especially during bed weather days. If you are single and alone, this would be a problem! 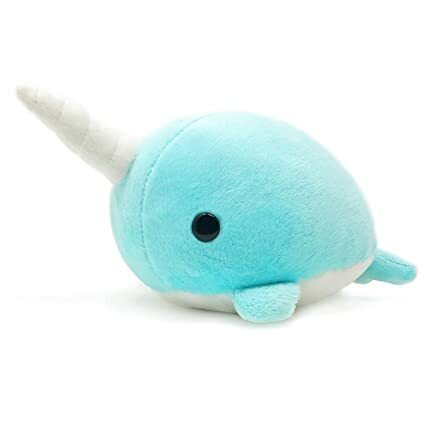 Good thing, there’s this very cute and cuddly narwhal stuffed plush that is super soft and would not judge you if your cuddle is too strong or not! This narwhal stuffed plush is made from one hundred percent ultra-premium density polyester stuffing. The plushie coat on the other hand is made from eco- friendly synthetic fiber that is safe even for those with the most sensitive skin! This narwhal stuffed plush is made by Bellzi which is globally recognized as a maker of high quality plush toys. 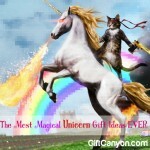 Nothing is more adorable than to see the unicorn of the sea which is no other than the great narwhal and some rainbows! 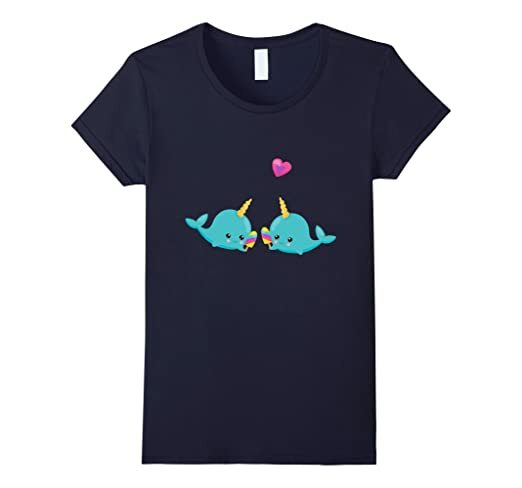 This very cute narwhal earing rainbow popsicles shirt is such as refreshing sight in the middle of a busy work day! This narwhal shirt is so comfortable to wear too because it is made of one hundred percent cotton. This narwhal shirt is safe to be washed in the machine too! 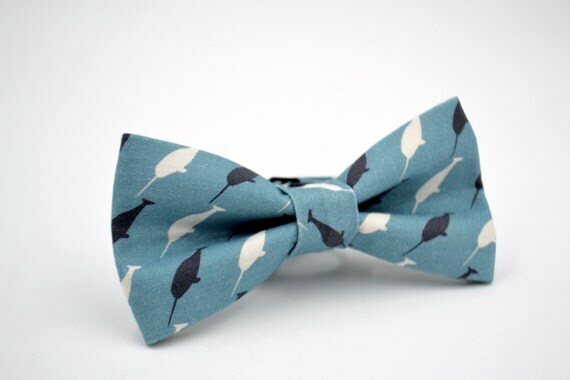 Sometimes we have to dress up and be formal but you can add some spice to your boring and dull wardrobe by adding this turquoise narwhal bow tie. This narwhal bow tie made from 100% cotton which features a turquoise background with your favorite creature on earth which is no other than the narwhal! This bow tie can be adjusted to your liking and can be stretched for up to twenty one inches. 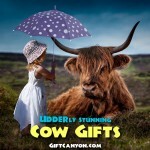 Feeling like the odd one out all the time? Well, you know what? 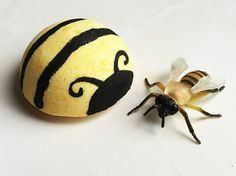 It’s okay to be different! 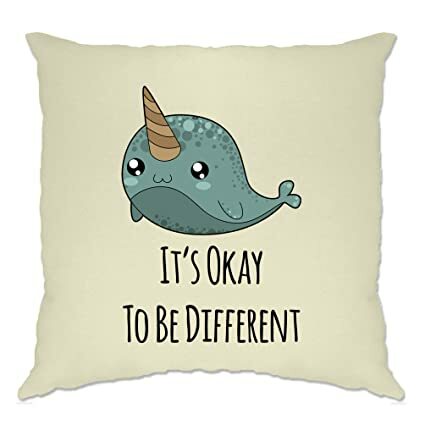 Take it from this very adorable narwhal cushion cover. 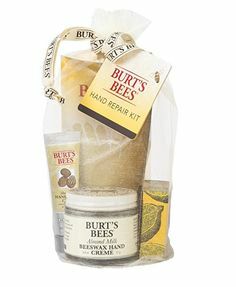 This one of a kind cushion cover is made from one hundred percent cotton that is printed with eco-friendly ink too. The design features a narwhal with a boosting moral message that it’s okay to be different. This would be a great aesthetic design to your favorite couch or even in your bedroom or favorite chair. 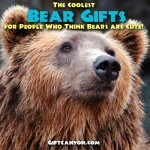 What a Nice Kigurumi Narwhat Present for Anyone Who Likes Cute Stuff! So you feel like being a narwhal for a day? 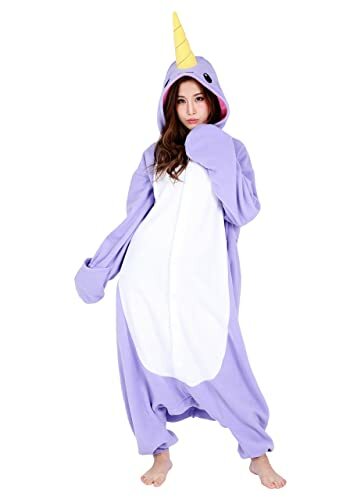 You can now with this narwhal Kigurumi costume. This narwhal Kigurumi costume is made with 100% polyester that is machine washable. This narwhal costume is a one size fits all costume that can fit a person whose height is up to 6ft tall. Keep your feet warm and cozy with this pair of narwhal slippers. This pair of narwhal slippers is made of cotton and can fit a size 38. 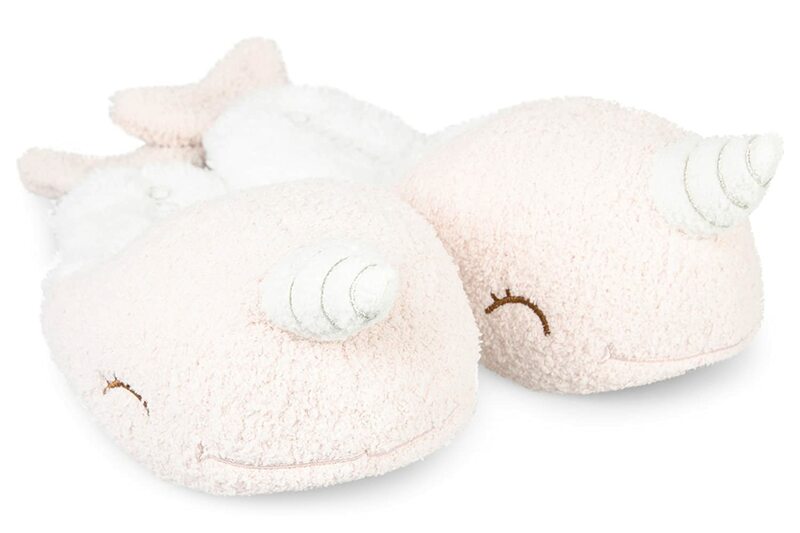 This pair of narwhal slippers is perfect for your narwhal loving friend who just can’t get enough of this cute creature from the sea! Jotting down notes can be more fun with this narwhal notebook. 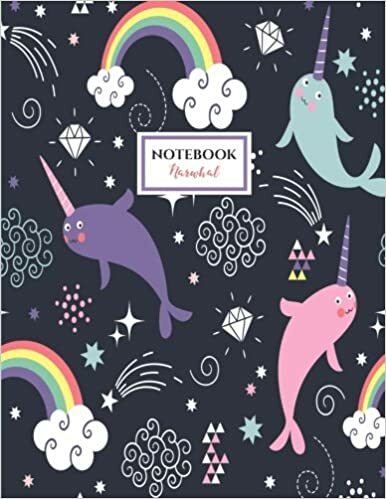 This narwhal notebook features the adorable narwhal and rainbows on the cover. This narwhal notebook is equipped with wide ruled sheets with a hundred and ten pages for your doodling, notes, recipes and other important matters to jot down to. Keep your favorite narwhal close to your heart with this narwhal necklace. 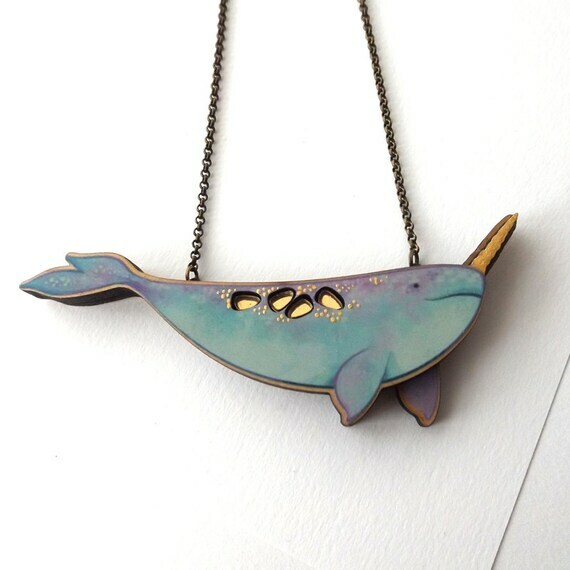 This narwhal necklace is made of polymer clay of blue color which features your favorite narwhal! This narwhal necklace is eighteen inches long and is silver plated too. 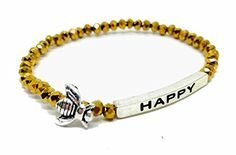 This necklace is perfect for your daily grind to cheer you up when you are feeling down and weary. 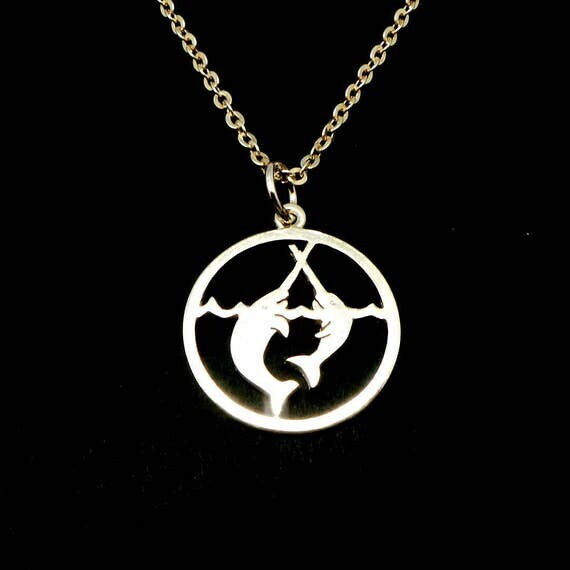 If you want a narwhal necklace that can be worn even during formal occasions then this silver narwhal necklace would be the perfect jewelry for you! 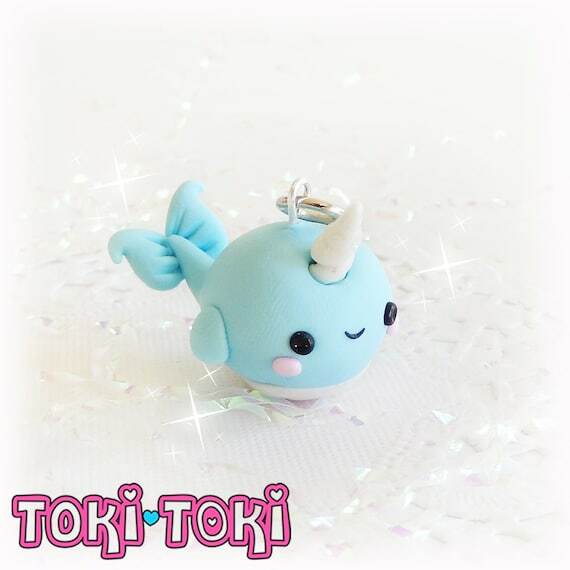 This narwhal necklace is made of 925 sterling silver that is made to order from Malaysia. The size of this narwhal necklace is up to 460 millimeters long. 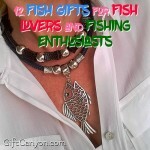 A one of a kind statement jewelry is not just eye catchy but it also brings some kind of story and interest to most people just like this narwhal statement necklace. This narwhal statement necklace is handmade and is made with antique gold colored chain that is made in the UK but ships worldwide. The narwhal measures approximately over an inch tall which makes it a cute yet adorable work of art. 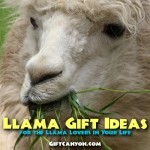 This would be a perfect gift for the narwhal loving recipient that you have on your list!